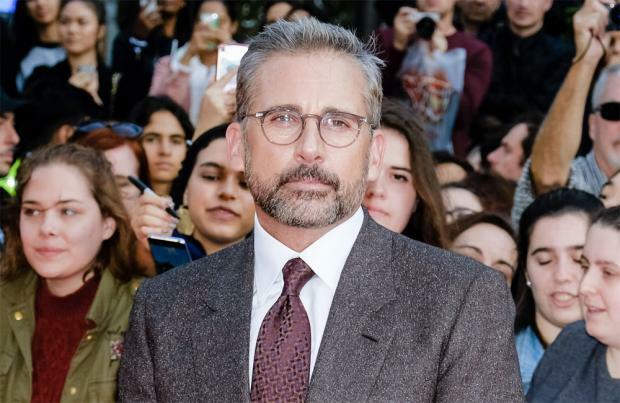 According to Steve Carell, his new movie 'Welcome to Marwen' is unlike anything he's "ever imagined"
Steve Carell's new movie 'Welcome to Marwen' is unlike anything he's "ever imagined". The 56-year-old actor stars in the Robert Zemeckis-directed drama, which tells the story of a man struggling with PTSD who creates a fictional village to ease his trauma, and Steve has admitted to being attracted by the film's unique concept. He confessed: "What was exciting to me about it is that it's unlike anything I've ever seen or even imagined." Steve was first drawn to the project on the strength of the story. However, he also revealed that the idea of his character existing in the real world and also a fictional one, was a big attraction. He told Collider: "What interested me, in the first place, was the story itself. And then, when I talked to Robert Zemeckis about what his idea would be for the feature version, it seemed like a great way in. "My initial hesitation was that the documentary, 'Marwencol', was really so complete and so beautiful, that it didn't seem like it needed to be retold, and certainly not to just do a version of the documentary as a feature. "But I thought Robert Zemeckis' idea to expand the fantasy world and bring that to life, made a good case for turning it into a feature and expanding the world scope of it all." Steve was also excited by the prospect of working with Robert, who created the 'Back to the Future' franchise. He said: "I was a little overwhelmed. I just decided to take a chance, and I've never done that before. I've never felt compelled to go after something the way that I did this."